This four-week Counsellor in Training program is designed to prepare eligible candidates to work effectively with children in an overnight summer camp environment, and to become outstanding mentors and leaders. The Counsellor in Training program is ideal for candidates who show strong initiative, are eager to continue the commitment to build their leadership experience and have a passion for working with kids in hopes of one day working in an overnight summer camp community. Candidates must have completed grade 10 to apply for the program and prior leadership training is an asset. Although not a prerequisite, it is strongly recommended that all CIT applicants complete HOC's Leader in Training (LIT) program or equivalent (at other camp/organization) and have a serious interest in working with children in order to qualify for this program. The CIT program builds on experience gained through the LIT program. Candidates build on their understanding of the four core principles (Community, Leadership, Accountability, and Performance) and begin to refine those skills to best suit their individual leadership styles in order to excel in a camp environment. During the 4-week (overnight program) session, candidates receive training in areas such as leadership, mentoring, counselling and activity instruction. Under the direction of two Staff Development Coordinators, the program is also designed to develop the interpersonal and professional skills of each participant. Other skills that are formed include; self-esteem, self-confidence, communication, organization and goal setting. Participants will be given a choice of professional development certifications to work towards within the program including Bronze Medallion or Bronze Cross swimming certifications through the Royal Life Saving Society. 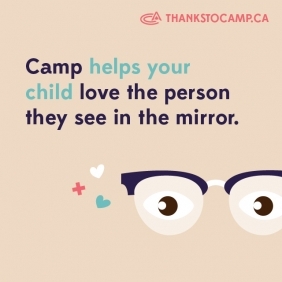 The first two weeks will focus on specific counselling strategies, instructional techniques, and sports skill development in all available camp program areas. The schedule is organized to focus primarily on counselling skills in order to prepare CITs for the mentor program. Activity classes are provided to create interest in various camp program areas, increase skill level and develop instructional methods.